Today We Start Rolling Out Some Limited Holiday Deals! As we close out November and the dust settles from all that Black Friday chaos, we wanted to offer a few great gift options for the artist or art fan in your life which you can shop for from the safety of your living room. 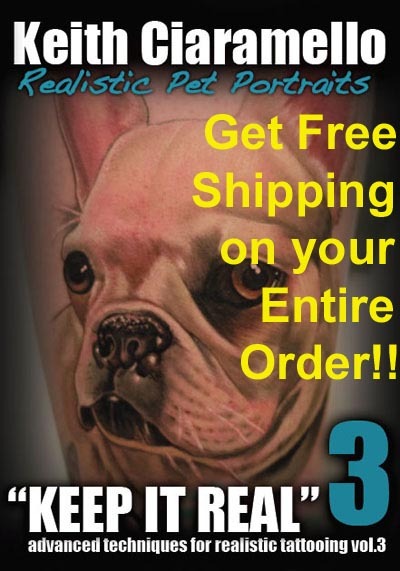 Many of you are likely already familiar with a lot of the books, DVDs, art prints and other art related items that we carry at tattooeducation.com and hyperspacestudios.com, and we encourage you to take a quick browse through the online catalogs at both websites to see what we have available. Today, though, we are offering some single day promotions that you may want to take advantage of. 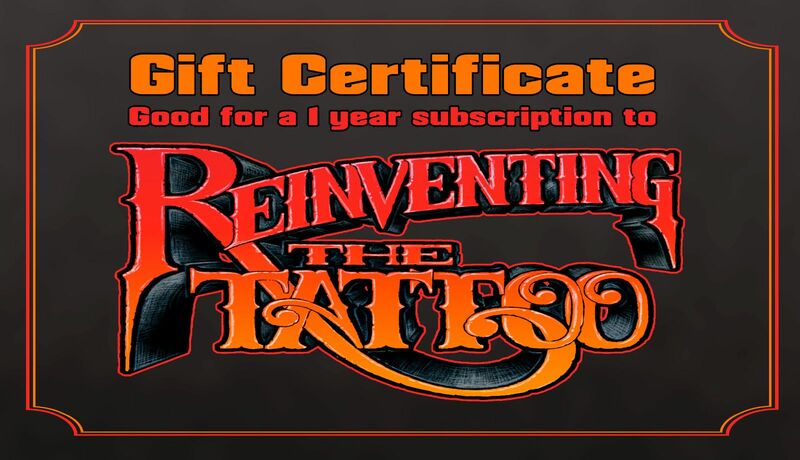 For starters, we've had many of you ask what is the best way to gift someone with a subscription to Reinventing The Tattoo, my comprehensive electronic educational package for tattoo artists. Reinventing is far more than just an electronic edition of a book, but also contains a great deal of video and other multimedia material and is constantly growing- later this month, for example, I'll be adding three new Photoshop video tutorials that relate directly to things that tattoo artists might need to do with their images. Reinventing is the most detailed educational package available in the tattoo industry today, and has been read by thousands of artists worldwide across over 20 years; it can now be offered to a friend or coworker through a gift certificate. Order before December 16 and we'll mail the recipient a shiny card with instructions for logging in… and better yet, order before midnight tomorrow night (11/29) and get $50 off! In addition, Michele wanted to celebrate the holiday season by offering a special deal on prints of her latest painting. 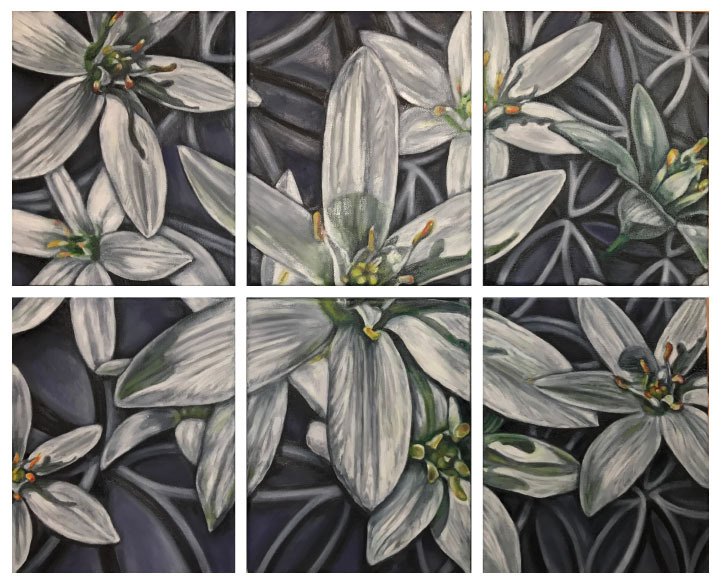 Star Of Bethlehem is actually six small pieces that were painted as one, and then separated into six complimentary compositions. All of them are grouped onto a single print on archival artist's canvas, 20x24". This stunning reproduction is being added permanently to the Hyperspace print catalog, but for today’s special she has reduced the price to $75. Her carefully balanced subtle color schemes go well with just about any decor, making her prints ideal gifts. Last but not least, don't forget that we have a featured item this week, Keith Ciaramello's ‘Keep It Real 3’ DVD. He offers an insightful glimpse into pet portraiture, which has recently become a popular- and sometimes surprisingly striking- tattoo motif. In Keith's approach you can see how his foundation in painting and other mediums translates into his painterly approach to handling subtle realistic color on skin. Anyone who orders our Featured Item gets free shipping on their whole order anywhere inside the US, so if you are planning on picking up some books or other heavy items, keep this in mind!